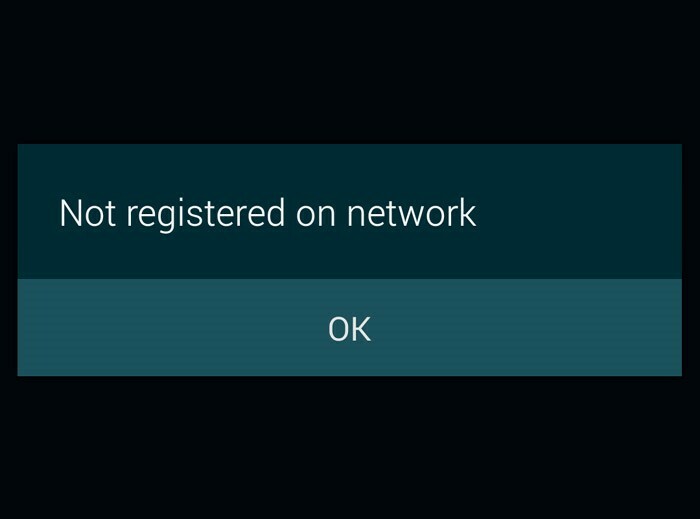 Restarting your phone is one of the best ways to restore connection with the network. Some devices have the ability to remove the battery; it is recommended to first turn off the device and then remove the battery. There are three types of SIM cards, which are: standard, micro and nano SIM cards. Step 3: Check if the SIM card is not damaged. 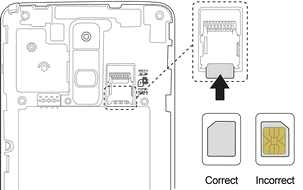 You can check this, by the following: check the surface if the gold part of the SIM card is scratched, broken or bent. 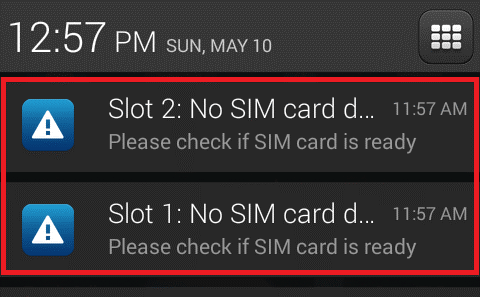 Here are a few examples of error message you may receive if your SIM card is damaged. In case of a damaged SIM card, a sim replacement will be recommended. You have the option to keep the phone number and transfer that to a new SIM card. For a sim replacement, you may visit the nearest Digicel store with one of the prepaid verification methods. For information regarding sim replacements, click here. You can do this by checking the expiration date of your credit. Dial *120# for information. JYou can also check the expiration date via the My Digicel App. It is really important to top up before the expiration date, in order to keep the SIM card active. You can also extend the life cycle of the SIM card with one year. 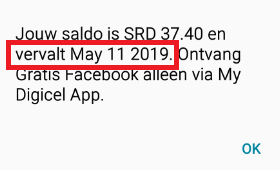 Your credit and SIM card will then expire after one year (without topping up within that year). Click here to extend your SIM card with one year.